“Michael Jackson” birthday party held on 26th June 2016 in Kyalami Estates. We delivered our Mini Black Galleon Pirate Ship, Kiddies Tables and chairs with Linen, Helium Balloons, Popcorn Machine with stock, Décor, Cake and Biscuits, some cutlery and crockery, tables and table cloths for the adults and a stainless steel urn. I did the setup for the kids. We also organized a face painter for an hour. This is the Birthday cake I did for Aryan’s 5th Birthday celebration. 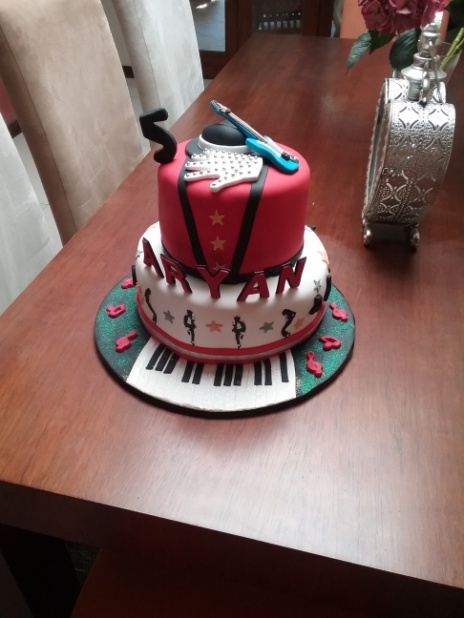 It was a 2 tier chocolate and vanilla cake in red, white and black with some décor relating to music and Michael Jackson. 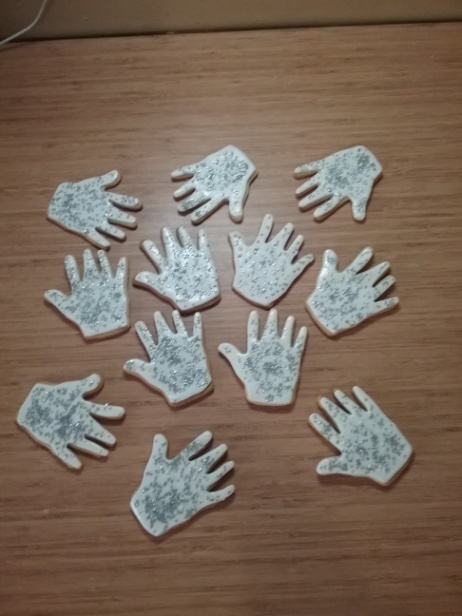 I also made glove biscuits with glitter to go with the theme. The biscuits were packed in a see through bag with a ribbon.